When your life story feels incomplete and it continues to afterlife is a story to tell but much even more if a love story goes beyond death and afterlife. 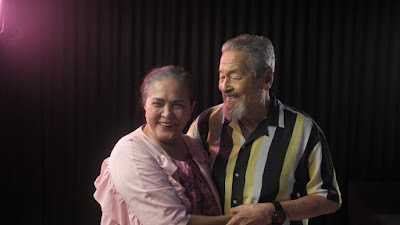 This movie, Hintayan ng Langit, is brought to life by two of the renowned veteran actors, Eddie Garcia and Gina Pareno. We have known them in most of the top-grossing films and they sure encapsulate the characters in every film that they are involved with. 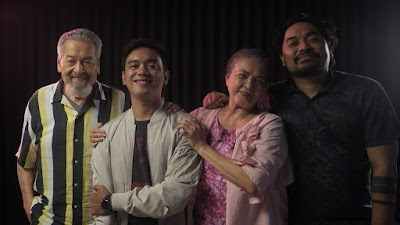 The feature film stars multi-awarded veteran actors Gina Pareño and Eddie Garcia and is written by spoken word artist Juan Miguel Severo based from his one-act stage play for The Virgin Lab Fest. Hintayan ng Langit is a co-production between Globe Studios and Project 8 Corner San Joaquin Projects, a film production company owned by top filmmakers Dan Villegas and Antoinette Jadaone. The movie adaptation is directed by Dan Villegas for QCinema and premiered last October. It won the Best Actor and Audience Choice awards. While #HintayanNgLangit is trending on social media for its gripping theme and excellent production values, the film is also the latest commitment of Globe Studios in delivering heartfelt but top-quality films not only for its customers but among all Filipino film buffs as well. Villegas and Jadaone join the roll of A-list of filmmakers that include Erik Matti, Paul Soriano, Sigrid Bernardo, Joyce Bernal, and Lav Diaz who have collaborated with Globe Studios for their original video and film productions. Missed QCinema? Due to insistent public demand, you can catch Hintayan Ng Langit on November 21 when it makes its theatrical run. Love, laugh, and create your own wonderful experiences as #GlobeStudios invites you to watch this beautiful movie.